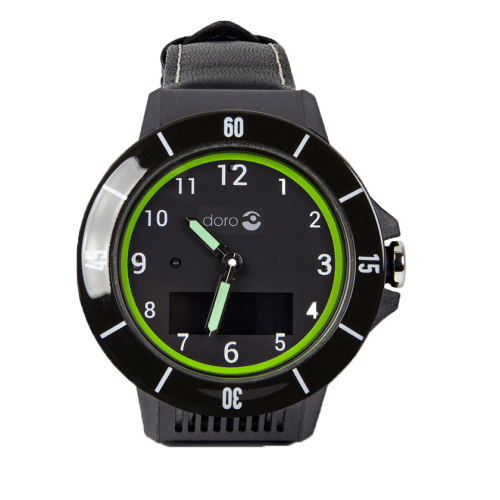 This comfortable and water resistant wrist-worn personal attack alarm plays an extremely loud (130dB) sound when a button is pressed. Ideal to scare off potential attackers or call for help. SKU: 6100 Categories: Around The House, Fall Prevention & Reaction, Gifts for the Visually Impaired, Home & Lifestyle, Home, Entertainment & Computing, Macular Degeneration, Making Life Easier, NHS, Care Homes & Professionals, Safety & Security, Gifts, Gifts Under £150, Gifts Under £100, Gifts Under £50, Gifts for Her, Gifts for Him, Gifts for Grandparents, By Condition, Low Vision Aids & Phones for the Blind. 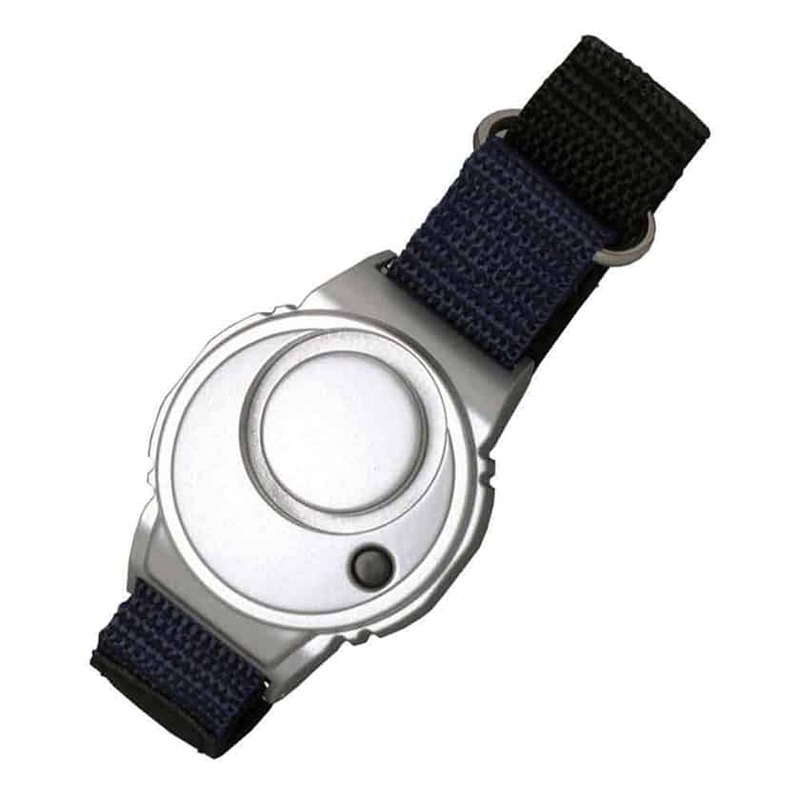 This comfortable wrist-worn personal attack alarm plays an extremely loud (130dB) sound when a button is pressed. Who is this Personal Attack Alarm useful for? The wearer simply puts the personal attack alarm on their wrist using the comfortable adjustable velcro strap. 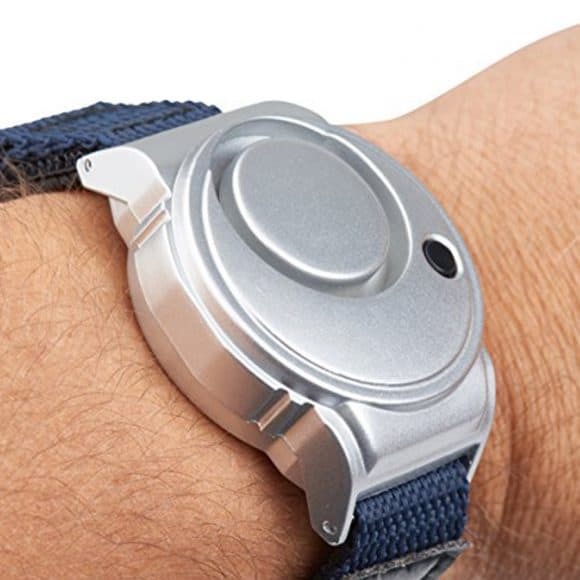 In the event of them feeling uncomfortable or in a dangerous situation, they press the small button on the face of the wrist alarm and it will play a very loud sound (130dB). 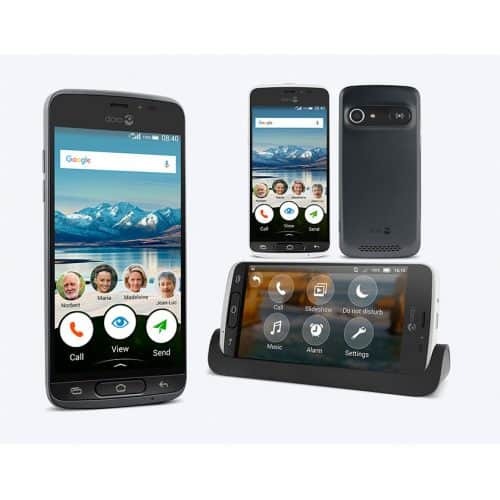 With an adjustable and firm Velcro strap that fit’s comfortably around almost any wrist, this personal attack alarm is easy to put on and remove whilst being held firmly in place. The button is easy to find and press, but deliberately designed to avoid accidental triggering of the alarm. Upon pressing, it plays an ear-splitting 140dB high pitched sound which is sure to draw attention and scare off anyone with malicious intent. 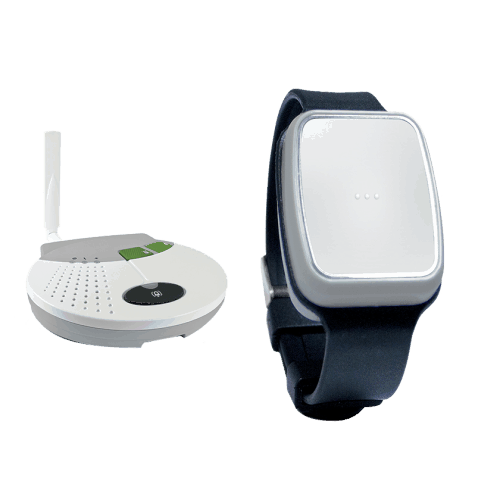 To disable the alarm, the wearer just presses the hidden button on the other side of the device. If the wearer is being attacked, the attacker is less likely to know how to disable it. A jet taking off is around 120dB, a loud rock concert is around 130dB, this alarm is 140dB! With long-lasting batteries provided. In the rare event you’ll need to replace the batteries, this personal attack alarm makes it easy with simple to follow instructions in the box. Made to the highest quality by the UK’s largest security company, this panic button for elderly will be replaced by the manufacturer if there’s any faulty-caused problems. Width: 42mm (1½”) x Length: 50mm (2″) x Depth:15mm (½”). Why not take a look at our other safety and security products?